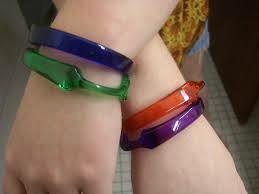 What’s a cooler than recycling your old toothbrush and making a toothbrush bracelet? Milestone Orthodontics near Maywood recommends that their patients replace their toothbrush every 3 months or when there is noticeable wear, or when a patient has been sick. So when it’s time to replace your toothbrush, try making toothbrush jewelry. Step 3: Because the toothbrush is very hot, your parent needs to bend it using the tongs to hold the toothbrush in the middle, and vise grips to shape the toothbrush. Please contact our practice near Maywood if you have any questions or concerns about your oral health. Milestone Orthodontics hopes you have fun making your new toothbrush jewelry. Keep Smiling!